Thoughts from a Traveling Tech: Parking lessons anyone? The wife and I recently went shopping at a local store and since she was "just going to run in real quick" I decided to hang out in the car while she "ran in". 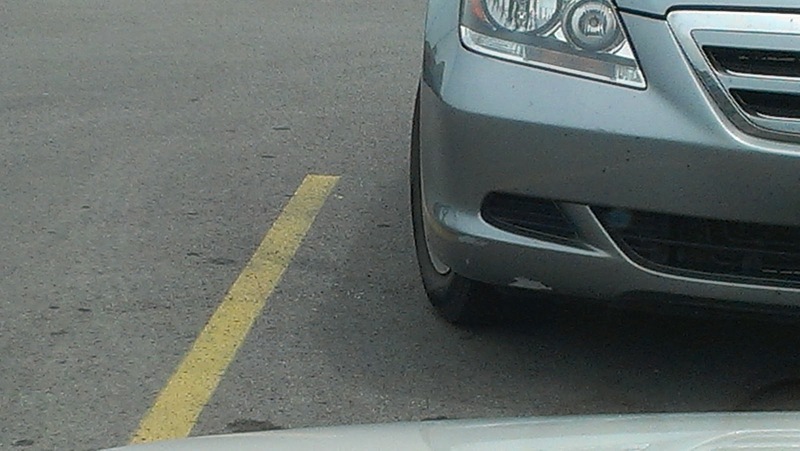 As I parked I noticed a lady parked in front of my on the cell phone. The part that caught my eye was the fact that she had only pulled in half way and continued to talk away on the phone while her children seemed to run loose in the vehicle. I continued to watch for over 10 minutes as she talked and the kids ran rampant. Finally she hung up the phone, packed up the kids and headed into the store... without moving the vehicle. She even looked down at the lines in the parking lot, looked at me, and then headed in the store. 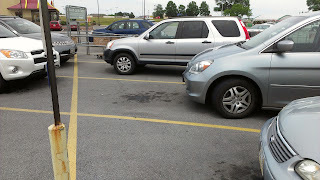 I just had to look at how bad the parking job was and so I slipped out of the car and walked around the back. No wonder the vehicles were having a tough time driving up that aisle. Some people just seem to be so inconsiderate. 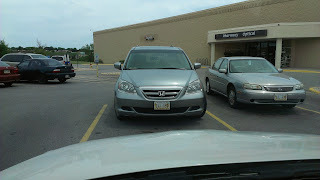 Labels: cell phone, inconsiderate, parking, Really? Your grandfather would be proud of you!